Roti Jala is kinda hard to find in KL on a normal day. 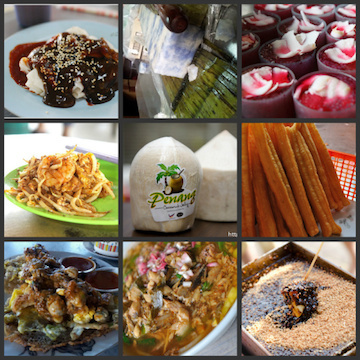 Most of the time you can only get it in night markets (pasar malam) or during the Ramadhan fasting month. I am lucky enough to have a good makan kaki in Penang who are sharing the same passion as me who love old school foods which are long forgotten by people. Young generation people for sure have no idea where to find this or taste them before. 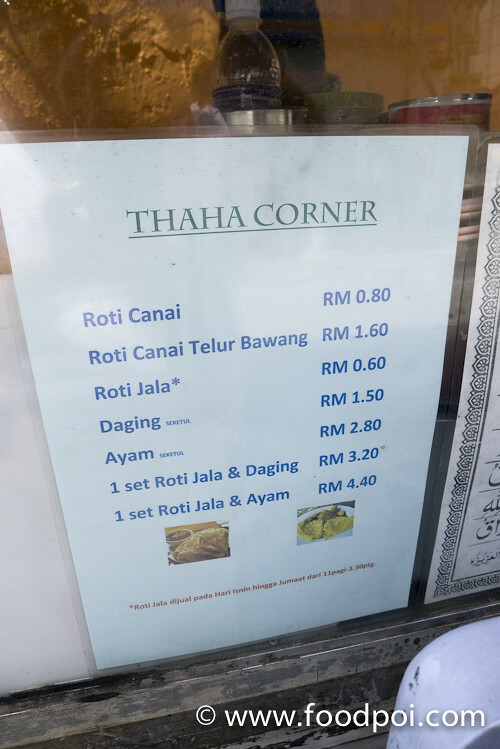 Thaha corner is a well known among the locals or people who work around Penang Street just behind the Penang Dewan Undangan Negeri building. Tucked by the road side, you may miss them if you drive too fast or they might look the same as other hawkers around the area. If you miss it, drive slowly and look on your right. Penang street is a one way street and you won’t miss this. It is located at the T junction of Bishop street and Penang Street junction. 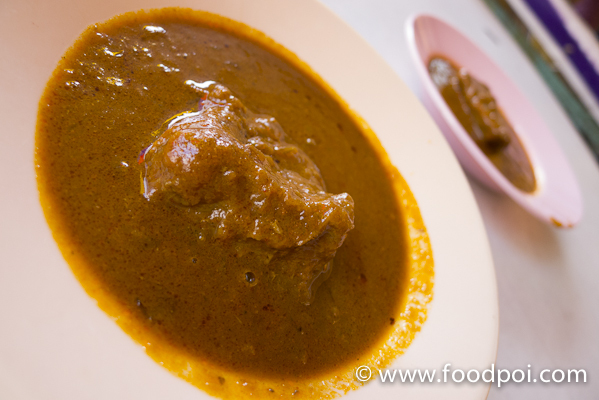 The awesome and melt in your mouth sensation beef curry. You don’t see this outside Penang who sell roti canai with beef. 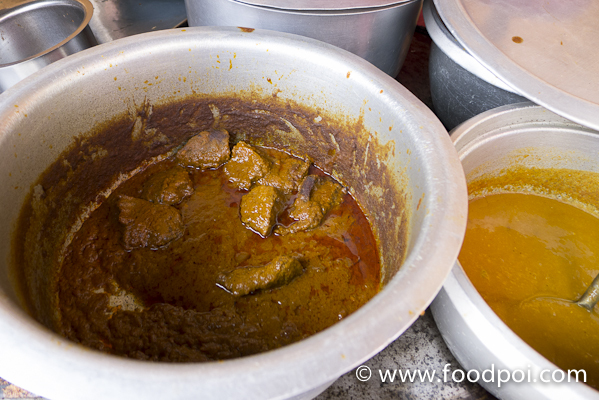 This kind of beef curry also can be found in Transfer Road Roti Canai which is my all time favorite roti canai stall. The balance of the beef around 10.30am. The place may be hot and dusty but hey this is how we yum char for breakfast last time. 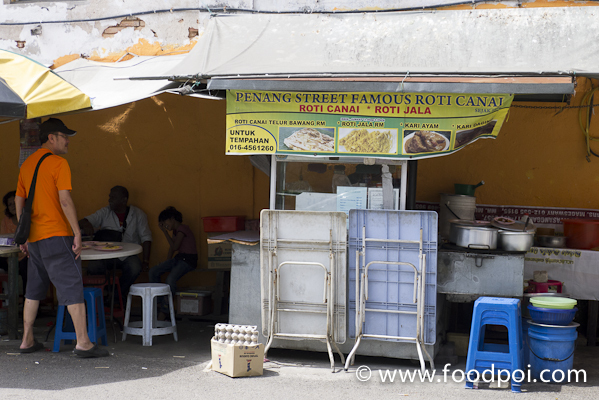 There are lot of street famous roti canai in Penang.. Why cant find in klang valley? 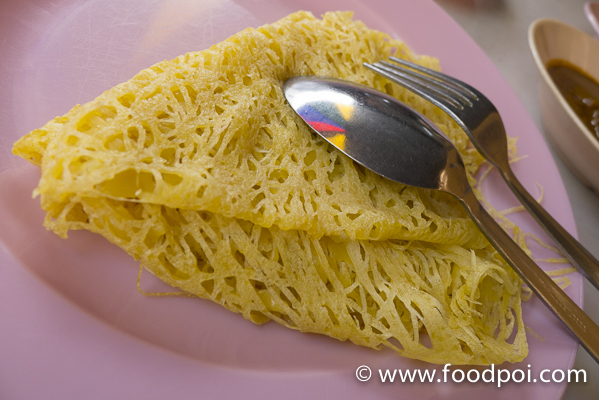 love roti jala n in kl susah to find nowdays! The beef curry looks thick and yummy. the street food at penang is always unbeatable! 🙂 yummy but i can only visit Penang a few times in a year. Fish : near penang where?